Washington, DC (October 25, 2018) – The desire to live safely and comfortably in our own homes and communities as we grow older is shared around the world, but making it happen is not always easy. To identify successful age-friendly housing innovations and encourage their dissemination, the WHO Global Network for Age-Friendly Cities and Communities (GNAFCC), in collaboration with Grantmakers In Aging (GIA), launched Innovation@Home – a competition and call for international age-friendly housing practices. facilitating access to transportation, shopping, health and long-term care services. Aconchego Program (Porto, Portugal) The university town of Porto took on a double mission: to combat loneliness and isolation among older residents and help non-resident students find affordable living arrangements. The Aconchego Program(Programa Aconchego) matches older people (age 60 and older) who have extra room in their homes with students (ages 18 to 35) who need a place to live. Lead Organizations: Porto City Hall and the Academic Federation of Porto. No-Cost Building Permits (Sausalito, California, USA) To help older residents avoid injuries caused by falls, Age Friendly Sausalito worked with the city’s Community Development department on their Age-Friendly Home Adaptation Grant Programto allow people to obtain free or reduced-cost building permits for projects that improve home safety and accessibility. 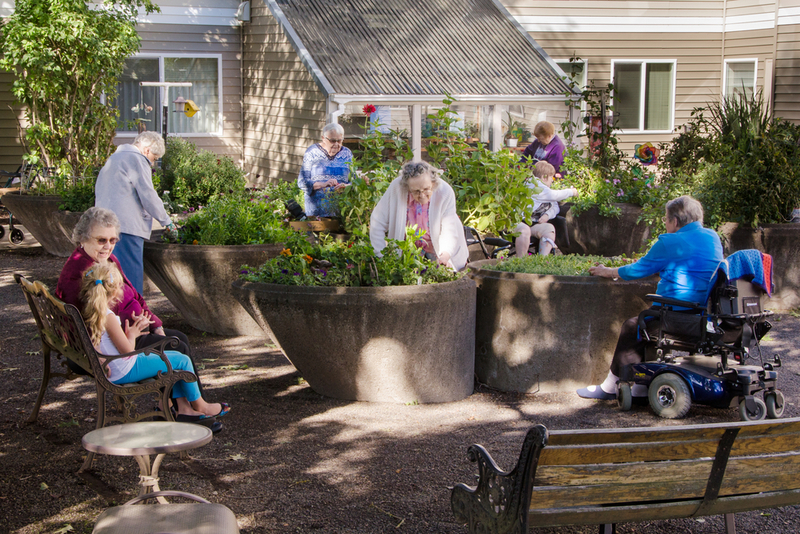 Sausalito is now mentoring local age-friendly communities and advocated for a recently passed law that authorizes all California cities and counties to waive building permit fees for this purpose. Lead Organization: Age Friendly Sausalito. Home Refurbishment Program (Barcelona, Spain) Throughout the Barcelona region (except the city itself), the Home Refurbishment Program(Programa d’Arranjament d’Habitatges de la demarcació de Barcelona)provides non-structural home repairs in the homes of the most vulnerable older people. The project also improves home energy efficiency and provides technology such as assistive devices. Lead Organization: La Diputació de Barcelona. The judges also awarded one Honorable Mention, to the CHORE Volunteer Handyman Service (Bergen County, New Jersey, USA), which helps older residents and people with disabilities live safely in their homes by performing minor home repairs. All CHORE volunteers are retirees. Lead Organization: Bergen Volunteers. Betty Lynch, Community Champion, Avondale, Arizona. Grantmakers In Aging is an inclusive and responsive membership organization comprised of philanthropies dedicated to improving the experience of ageing. GIA members share a recognition that a society that is better for older adults is better for people of all ages.